This playground honors Simon Boerum (1724-1775), whose family farm occupied the surrounding area in the 18th century. Boerum not only held large amounts of land, but also served as a delegate to the Continental Congress of New York State. The homes that characterize Boerum Hill were built at a time when the emerging and growing middle class was searching for a way to avoid the cramped conditions of boarding houses in Manhattan. In the 1850s, a skilled tradesman or merchant could rent a row house in the area for $200 a year. The turn of the century brought even more people to Boerum Hill and Brooklyn in general; by 1930 it was the most populous borough in the city with over 2.5 million residents. During the 1960s, urban renewal plans threatened many of the aging buildings of this area, but neighborhood groups worked together to prevent demolition and to resurrect waning community pride. One historic Boerum Hill treasure that is not readily apparent to visitors is the old Long Island Rail Road tunnel located under Atlantic Avenue. The railway tunnel, the oldest in Brooklyn, was built by the Brooklyn and Jamaica Railroad in the 1840s and runs from Boerum Place to the waterfront. It was used primarily to transport produce from Long Island to ferries that could take it to Manhattan grocers. The tunnel closed in 1861, however, when the city banned the use of steam engines in the tunnel. Speculation held that the tunnel was used afterwards by bootleggers, smugglers, and spies, but these rumors lost credibility in the 1980s when it was reopened by Robert Diamond. The tunnel is now open to the public on selected Saturdays each summer; entrance is through a manhole in the intersection of Atlantic Avenue and Court Street. 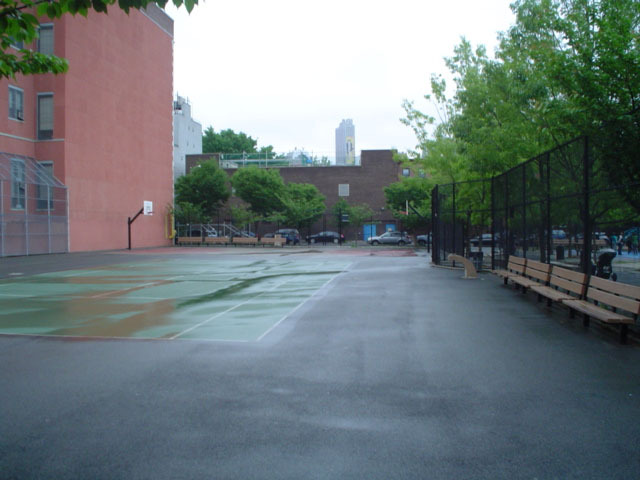 This park, bounded by Warren, Hoyt, Baltic, and Smith Streets, has been jointly operated by Parks and the Board of Education since 1967. It serves both the Cobble Hill High School of American Studies and the local community. For nearly 30 years, portions of the site served as a parking lot for teachers and as a play area for students at the adjacent school. In 1998, both the local community and the press sought an increase in green space in the area and called for the creation of a multi-functional park that would involve both the school and the community. 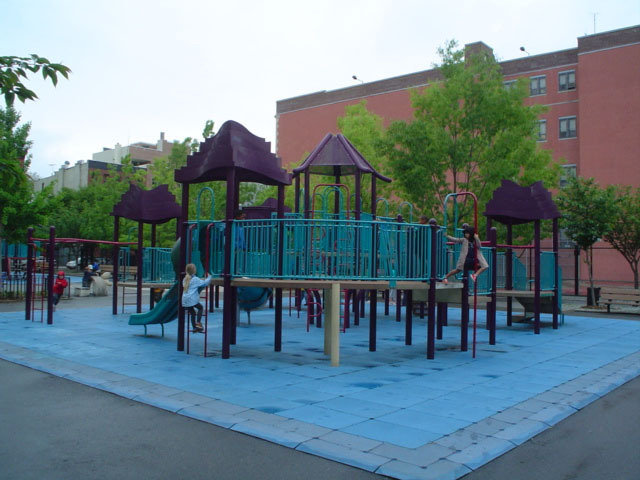 In 2001, City Council Member Angel Rodriquez allocated $685,000 and Borough President Howard Golden provided $430,000 for the complete reconstruction of the site. This project removed all parking spaces and added a new animal art theme. Decorative hex-block pavement surrounds a concrete, beehive-shaped spray shower, which is in turn flanked by two bee sculptures. These protective insects are propped up on their wings with stingers pointed at the hive, poised to spray water at those approaching their concrete home. Renovations also added a community garden, play equipment, swings, a basketball court, and a tennis court. Benches and trees, including oak (Quercus spp.) and cherry (Prunus spp.) now offer rest, relaxation, and shade to park visitors.